Not all stories that matter are especially flattering to the people involved. In fact, some of our most important stories are the ones that speak truthfully but poorly about us. We must remember to tell these stories, as well, because they serve an essential role within our collective storybook: they don't allow us to be comfortable with the good in us and continue to confront us with the bad in us. For Christians, this can be a challenge because we have a tendency to gloss over travesties and atrocities within Christendom by labeling the perpetrators as "not really Christians." Indeed, they may not have been but there were, most assuredly, real followers of Christ who stood idly by and watched such things as the Inquisition and the Crusades for example. One of these stories is Kristallnacht--the Night of Broken Glass. The Jews were ordered to leave Germany in October of 1938. 12,000 Jewish people of Polish descent were gathered up by the Gestapo and left at the border of Germany and Poland. 4,000 were admitted into Poland as refugees but 8,000 were left on the border to suffer and struggle as outcasts. Word was passed by letter and postcard and soon a Jewish relative of one of the 8,000 refugees--Herschel Grynszpan--who was living in Paris decided that he would exact revenge. He went to the Germany embassy in Paris on November 6th and shot the diplomat in the chest while claiming it to be "in the name of 12,000 persecuted Jews." Herschel had struck back but had also unknowingly given the German leaders a rationale for atrocity. Kristallnacht soon followed. Clothing themselves in indignity and the cover of "self-defense," they censored all Jewish publications on November 8th. This represented a severing of the ties between disparate Jewish groups and silenced the voice of the Jewish people prior to Germany's atrocity. This move was the gag that made travesty more palatable in the days to come. Jewish children were expelled from their German schools and it soon became very clear that trouble was building like a thunderhead and would soon break. On the night of November 9th, 1938, the German leaders executed a series of attacks, seizures, and crimes that are now know as Kristallnacht--the name given to it by the perpetrators--or Reichspogromnacht--the name given to it by those who recognize the atrocity therein. Over two hundred synagogues were looted, ransacked, and burned to the ground.Thousands upon thousands of Jewish businesses were broken into. The broken glass from the storefronts covered the sidewalks in so many places that it gave the name to this event--the Night of Broken Glass. These shops were shut down. Ninety-two Jews were killed on the night of Kristallnacht as some resisted the evil that was being perpetrated. Somewhere between 25,000 and 30,000 Jews were gathered together at gunpoint by secret police, loaded onto trains, and shipped to concentration camps. The reaction in the days to follow? Despicable for sure. Some clergy applauded the actions of the German leaders and the people who had rioted. They commended the people for their anti-semitism and used Luther's birthday as an additional point of celebration. The German people who had rioted and broken into stores had also been the ones who had killed some of the Jews who died that night. Yet, there was little outrage.There was little resistance. It seemed that the Church who claimed to follow after a tortured, persecuted, and Jewish savior did not see or want to see what was happening. They did not want to consider their complicity in this atrocity. They did not see how atrocious it truly was. 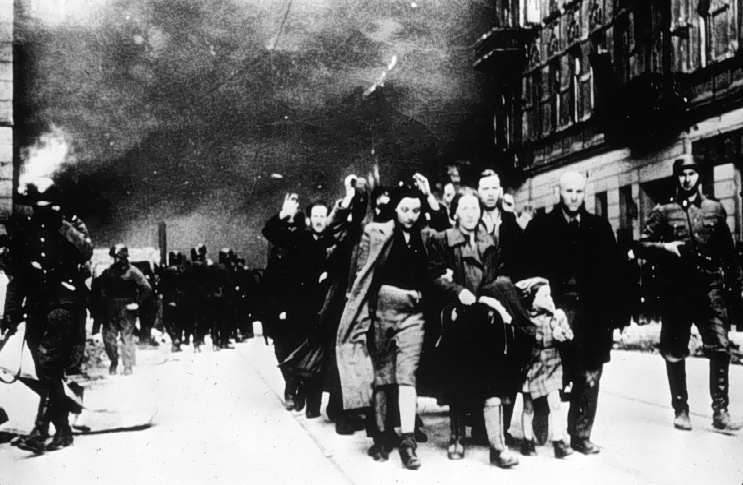 The "success" of Kristallnacht for the German leaders paved the way for greater tragedy. The relative lack of outrage and resistance convinced them that it was entirely possible to perpetrate worse evil since they had seen that the Church would not resist or exercise its prophetic voice en masse. The continued evil that followed may have been lessened or limited by an appropriately horrified response--yet, it didn't happen and the Nazi war machine continued on fueled by the lives of the outcasts it consumed. Kristallnacht should not ever be forgotten. In fact, it is best for us to adopt new language and call it Kristallnacht no longer--let us join with others who recognize the evil in the night and call it for what it is: Reichspogromnacht. The story should be--must be--told and remain an irritant in the Church's eye. Awful things were done and the Church watched them happen.